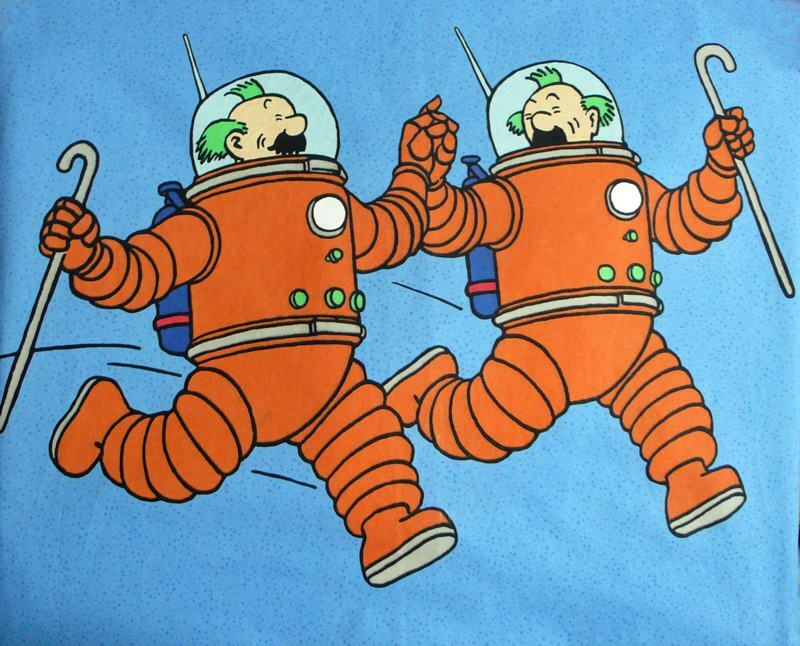 Fabulous piece of Tintin cotton salvaged from a larger piece and showing the Thompson Twins cavorting in their spacesuits. This is taken from the Explorers on the Moon book that Herge wrote as a sequel to Destination Moon. It measures 80cm x 55cm - perfect for a throw or bedspread perhaps? You could pair it up with the other two salvaged pieces from the series, Tintin and Captain Haddock or Snowy.